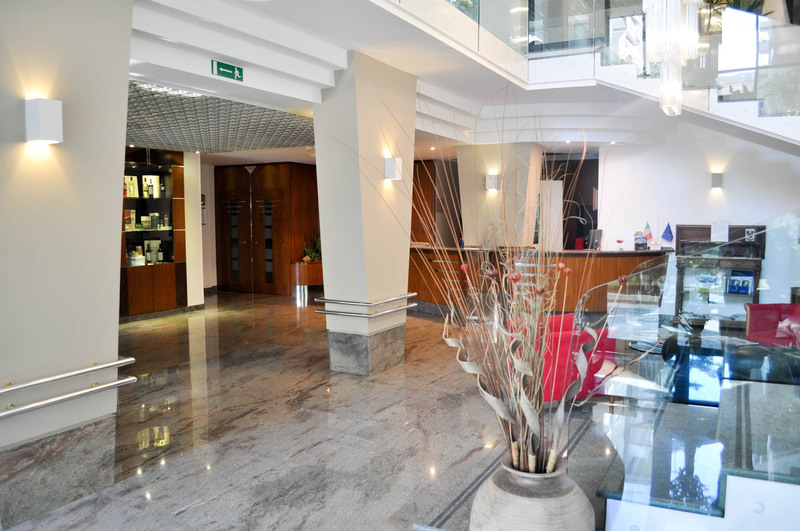 A modern building with 6 floors made of glass and steel and located in a courtyard with flowerbed and lawns. 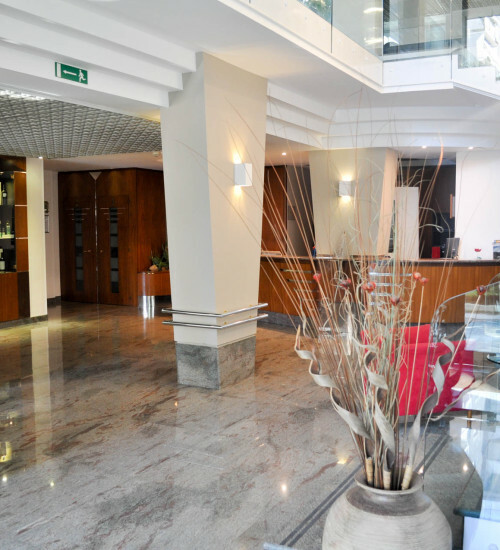 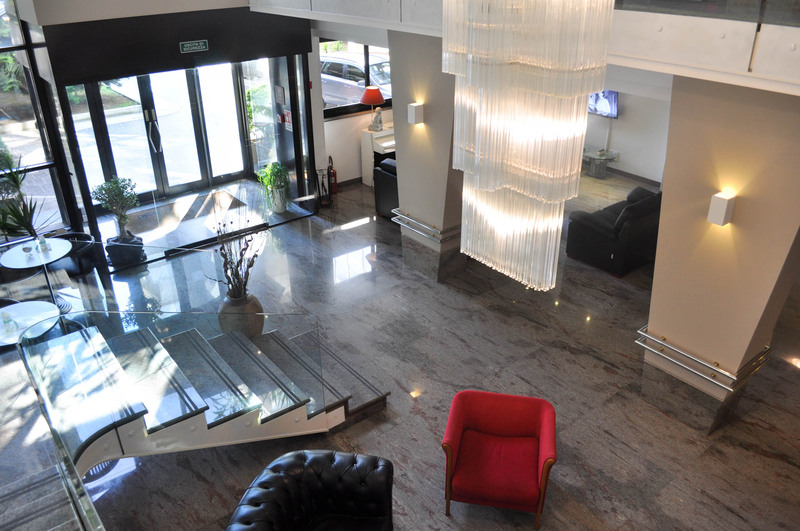 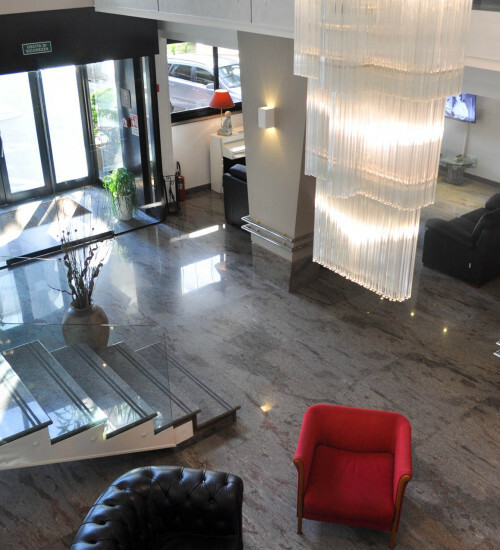 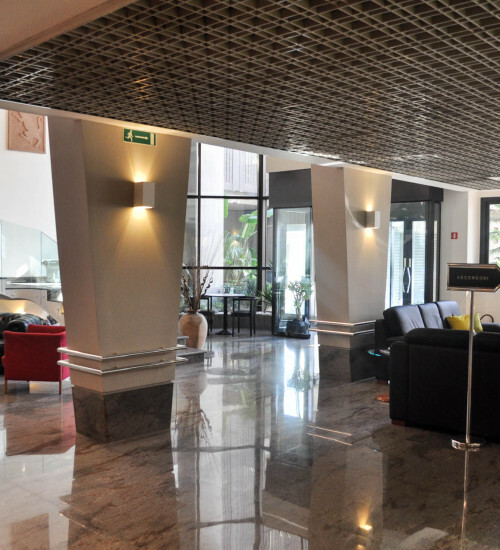 At the ground floor there is a front desk with a large hall full of sofas and stone scultures. 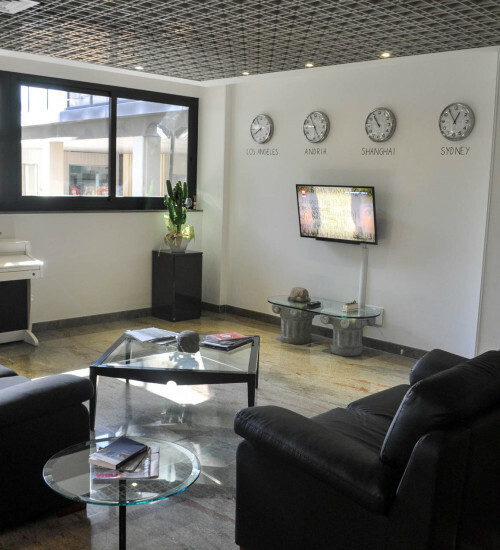 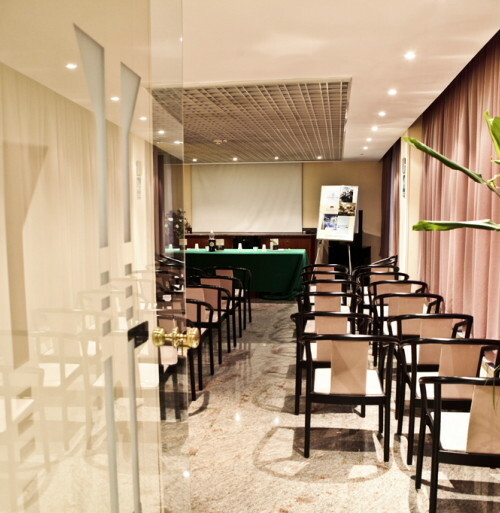 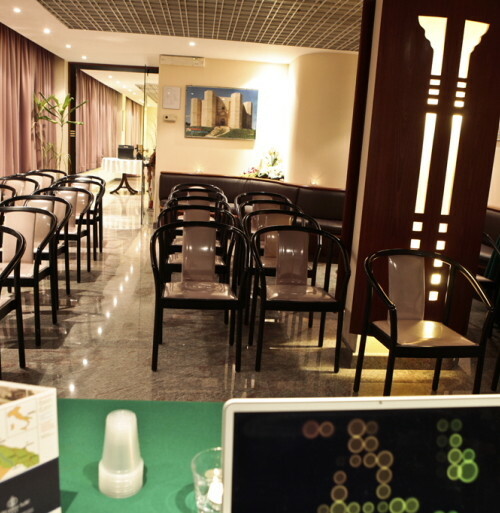 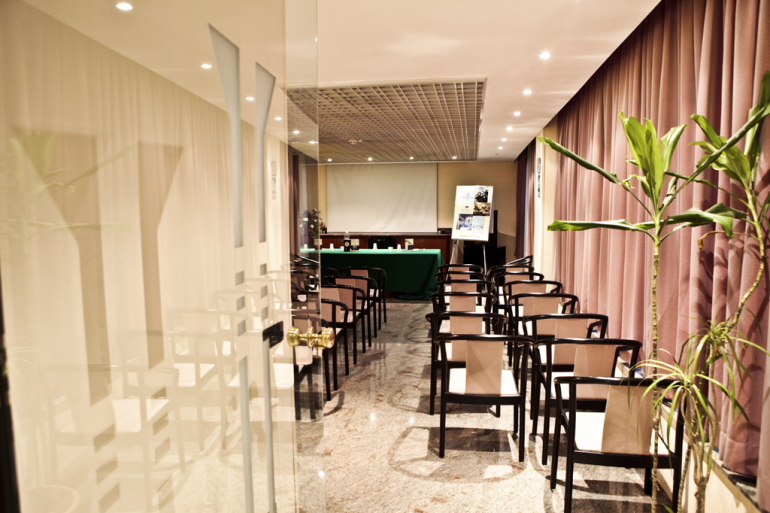 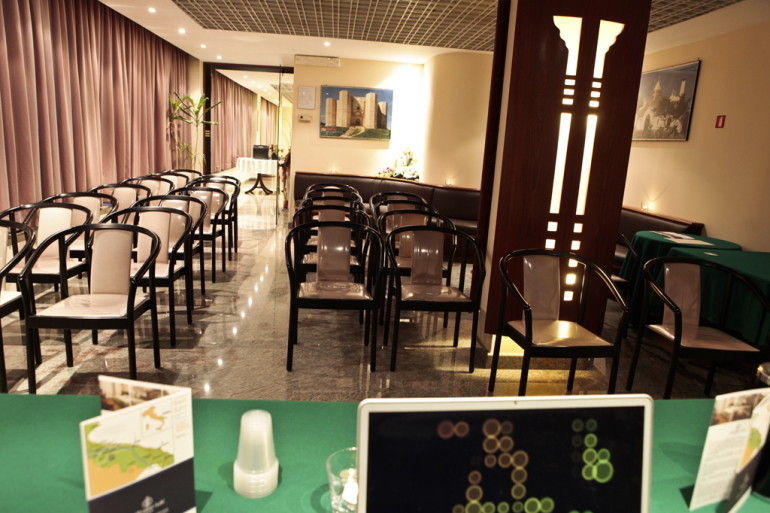 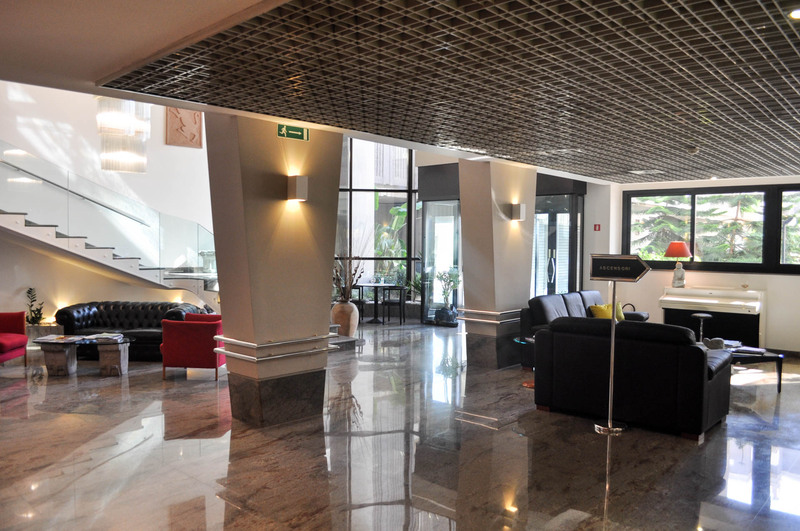 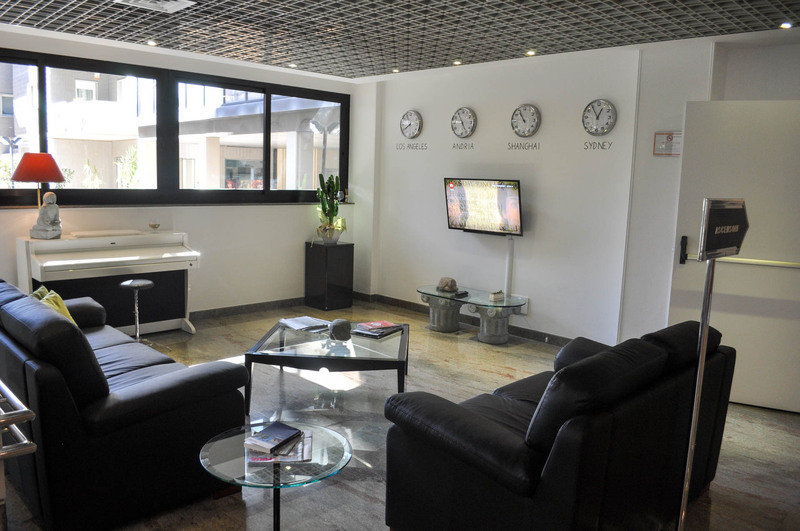 On the first floor, above the hall, there is a relax zone with tv and a comfortable meeting room. 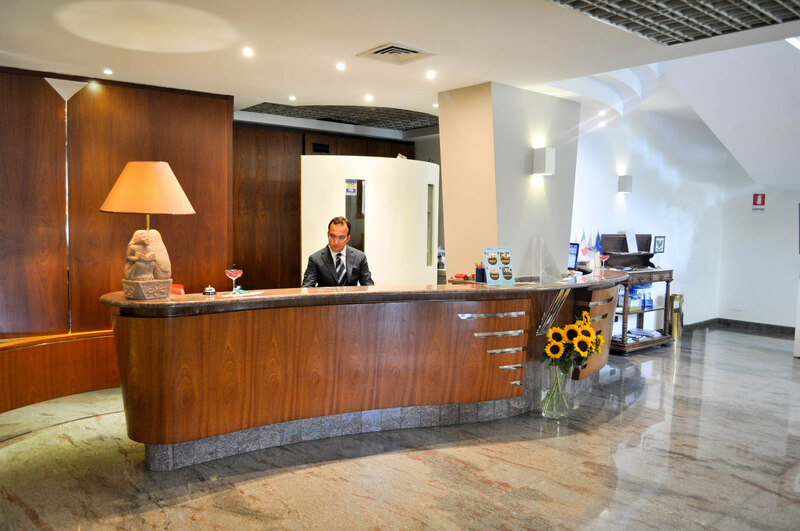 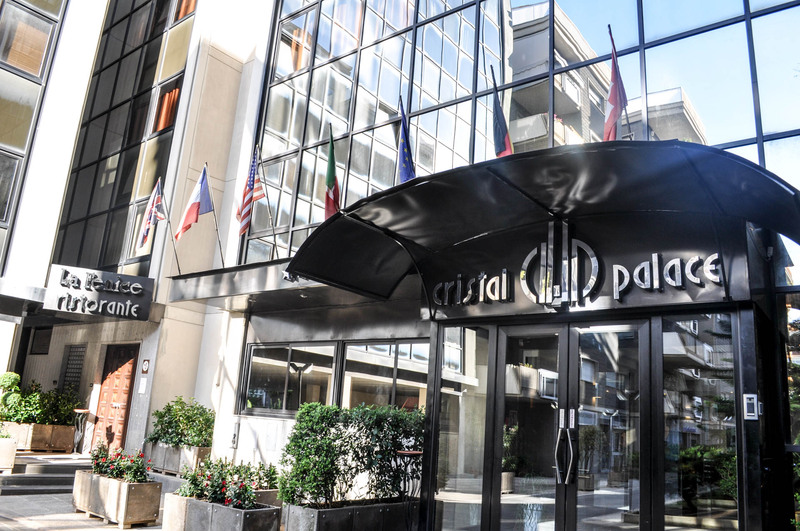 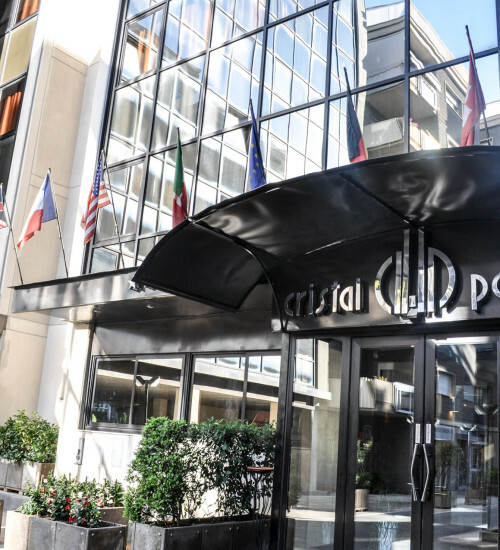 The hotel is located in the city center of Andria, in a land full of story, art, culture and nature so you can visit differents tourist attractions in few minutes like: Palazzo Ducale, la Cattedrale, il Santuario della Madonna dei Miracoli, Piazza V. Emanuele and the whole historical center. 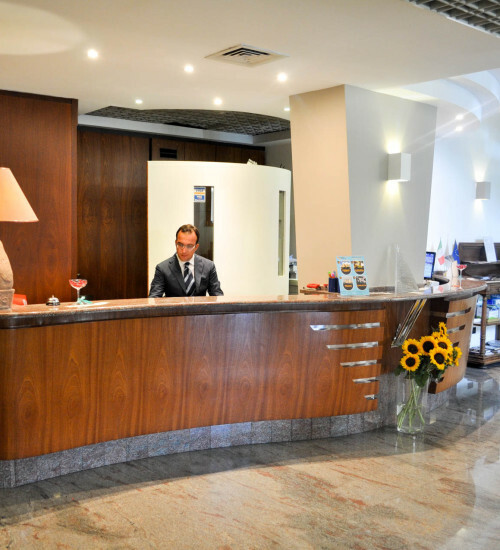 A professional team will give you reserve reserve and kindness in order to offer a pleasant and a comfortable stay.